Remember BlackBerry’s first Android phone – the BlackBerry Priv? It was launched in 2015 and received a mixed response from buyers. Although it didn’t attain success, BlackBerry got some software features right with its debut on Android. One of the most praised features on the Priv was its near stock Android OS with minor customizations. 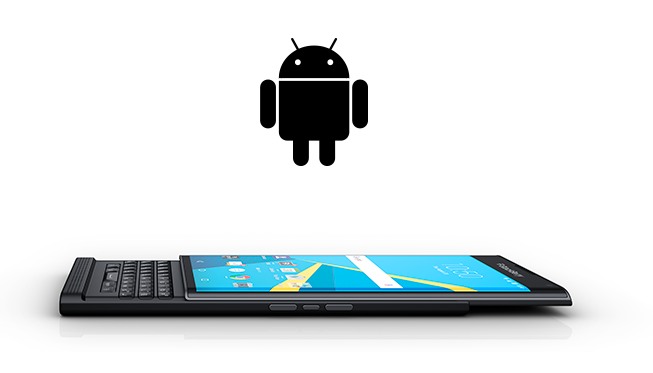 A new report states that BlackBerry might soon start licensing its near stock Android OS to other OEMs. According to a report by The Economic Times, BlackBerry is currently in talks with various manufacturers to license out its custom Android software so that it can run on non-BlackBerry Android devices. As we mentioned above, BlackBerry has always featured stock Android OS on its devices with just one third-party icon pack support that included BlackBerry Hub, which controlled notifications and security. We have a number of different contracts that we are working on right now. We expect some to be announced soon. We have an agreement with Optiemus for the India market for BlackBerry Secure. Given the fact that BlackBerry has already licensed out its hardware division, it only seems legit that it is doing the same with software. For now, we don’t know how BlackBerry is going to handle software updates for its custom ROM. We will get to know more when the company starts pushing BlackBerry Secure to other OEMs.